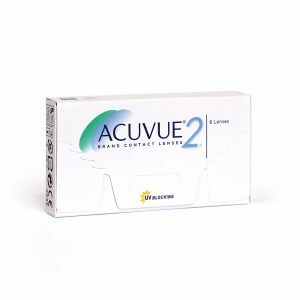 Bi-weekly contact lenses or 2 week contact lenses. 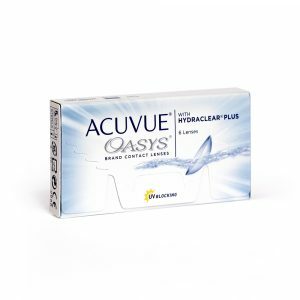 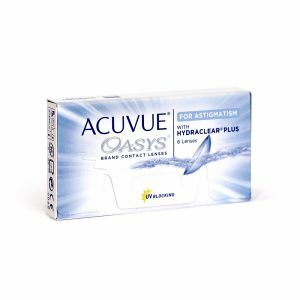 Worn for a period of 2 weeks include the Acuvue 2 , Acuvue Oasys , Oasys for Astigmatism and Oasys for Presbyopia . 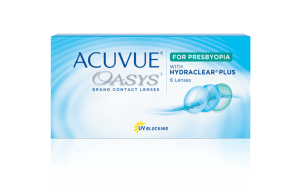 Biweekly contact lenses for presbyopia.